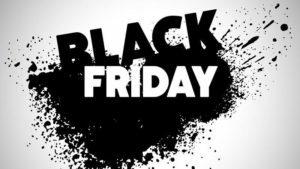 Though some stores have been displaying Christmas items since Halloween, today, Black Friday, is the official start of the Christmas Season in America. I managed to avoid the mayhem as I am not a shopper. But I still want to add my two cents to the Christmas mix. 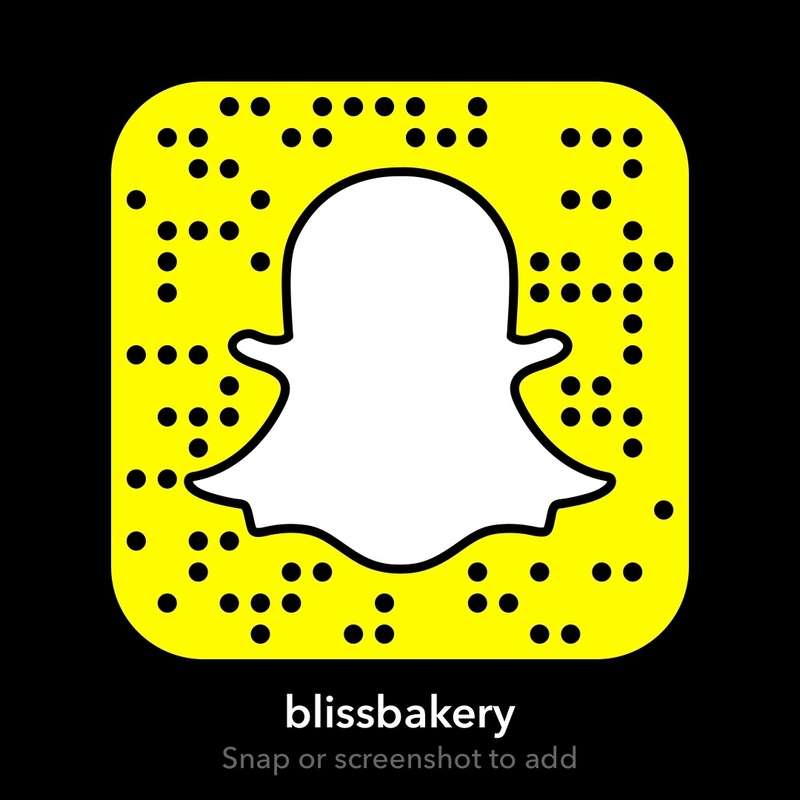 Last week I did a demonstration on my Snapchat (username blissbakery) of the most amazing chocolate truffles. But not the ordinary type, these are made with left over Christmas Pudding. While not a traditional dessert in the U.S. it is a must have at any Christmas dinner over in this part of the world. And since I hate waste, I am always trying to think of ways to re-use and re-purpose. 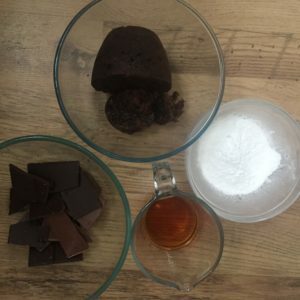 So this is the recipe you need in order to use up any left over Christmas Pudding. Well what if you don’t have any left over Christmas pudding? You can buy your pudding at a supermarket to use for this recipe. But some people might like to make it from scratch and it wouldn’t be an everyday product on the shelves in the U.S.A either. So go check out SimplyHomemadeBlog as you’ll find a gorgeous recipe to make your own Christmas pudding. And trust me if you use it to make these balls, you won’t be disappointed. 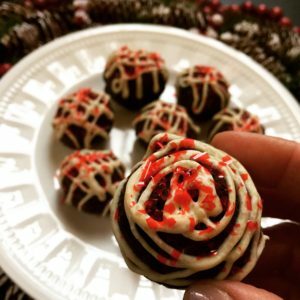 Super easy and very delish! Why you’ll forget about using up the left over pudding, you’ll want to make it specifically for these balls! Mix the ingredients together and put by tablespoons onto a lined tray. Then chill in fridge until firm (about 2 hours). Remove from fridge and roll the tablespoon scoops of truffled pudding in between your hands to get smooth balls. Decorate as you wish! Top with fondant icing to recreate the look of an actual pudding. 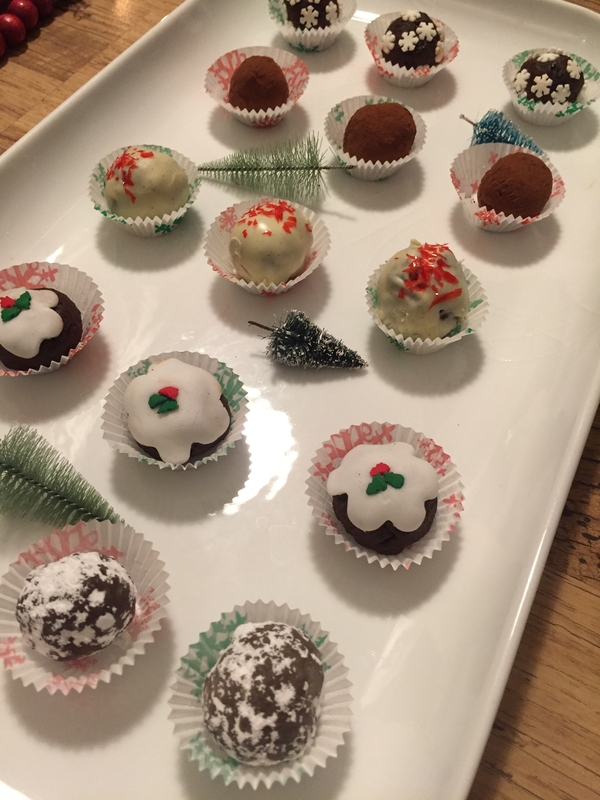 Or roll the balls in cocoa powder or icing (powdered) sugar. You could also drizzle with melted white chocolate or just sprinkle some pretty edible snow flakes. These Christmas Balls are delicious, moist and very flavorful. They are the perfect festive bite to have on St. Stephen’s Day or to give as a lovely edible sweet treat pressie. It’s the gift that keeps on giving! I love that you can use your creativity to jazz them up with whatever suits. And for that matter, you can even call them whatever you want. Because for some reason it seems even comedians make fun of using the word balls to refer to something edible. Silly but true. Just fast forward this video to the 2:00 minute mark. 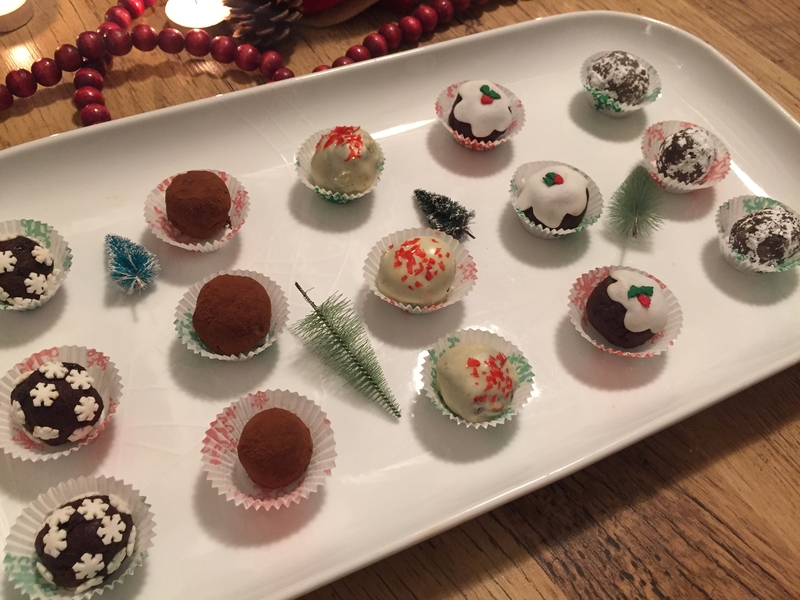 Oh and my hubby prefers to call them Christmas Pud Truffles. Issue adverted! Thank you so much for the mention Karen.